Motivation is the force that drives people to fulfill a need. If you can tap into a learner’s intrinsic motivation—where an individual is rewarded by the learning itself or an internal goal—you’ve got it made. But in both workplace and academic environments, people are often unmotivated because they are required to take courses in which they have no interest. That puts designers and developers of learning products in a tough position. We need to work hard at creating experiences that get audiences engaged and motivated. Here are some strategies you can use to motivate adult learners, based on their characteristics. Create useful and relevant learning experiences. Adult learners appreciate immediate relevancy. It’s a great incentive when training is immediately valuable and helpful to one’s work or personal life. Focus on practical knowledge and skills. Related to the strategy above, try to concentrate on workplace (or real life) performance, rather than on extraneous facts and theories. Provide options. Adults usually like choices that promote self-direction. When possible, allow learners to choose the courses they will take within a curriculum or subject category. Even if you provide a suggested order, allow learners to take lessons in a sequence that works for them. Facilitate exploration. Provide resources, references, videos and podcasts to create an ideal environment for personal exploration. Adults have a breadth of experience. Exploration provides an opportunity to construct knowledge in a way that is meaningful for each learner. Build community through social technologies for learning. Implement a social media strategy as part of a learning experience. Use social networking applications and services to build groups with a common interest or goal. Sharing knowledge and experience through informal networks is a motivating and natural way to learn. See Using Social Media for Learning. Accommodate group interactions. Provide opportunities for group discussion, collaboration and group problem solving. Enable testing out. Allow learners to test out of courses for which they know the content. Create active learning. As a general rule, most learners are motivated by engaging and active learning events over passive ones. You’ll find specific strategies for making learning active in this list. Put a face on it. When it fits with your goals, let learners know that there is a real person behind an online learning course. Provide opportunities for this expert to interact with the audience through live or online question and answer sessions. Challenge through games; entice with immersive environments. When your audience members are involved in the challenge of a game or focused on solving problems in a virtual environment, learning becomes an incidental aspect of winning or finding solutions. Although this usually requires a higher budget than other strategies, look around for pre-programmed games that work with your tool set. Use a witty character. Humor is a great way to keep learners motivated. Use humorous characters that reflect familiar situations and personalities to arouse interest. Accommodate busy schedules. Create learning experiences that can be mastered in small segments of time. Make it easy for learners to access individual learning objects for just-in-time answers. Chunk information. Another reason for organizing information into small chunks is to build confidence, which is motivating. Small bits of information are easier to process, comprehend and retain than large chunks. Add a dose of suspense. Don’t give away everything at first. Make learners want to find out more by starting out with a suspenseful scenario that learners need to solve. Mystery is a great motivator. Use creative treatments. Many online courses can be tied to a theme, a dramatic presentation, a compelling narrative or an unusual metaphor that can be carried through the instruction. This adds novelty and interest, which are motivating forces in learning. Individualize the learning. During interactive events, use context-sensitive feedback for a more accurate response to the learner’s input. Even better is if you can provide multiple paths through a course so that learners are guided by the choices they make. This type of individualization can help a person build accurate knowledge structures, which improves competence and confidence. Accommodate individual interests and career goals. Each learner is a unique individual with his or her own goals. Empowering a person to work toward these goals through training is a powerful incentive to learn. Stimulate the mind. Ask thought-provoking questions and offer problems that don’t have one right answer. Challenge learners to think about exceptions to a rule or to question conventional wisdom. Learners appreciate it when you respect their intelligence. Let learning occur through mistakes. In our everyday life, we learn from our mistakes. We can simulate this in structured learning experiences by offering context-sensitive feedback during games, reviews and tests. 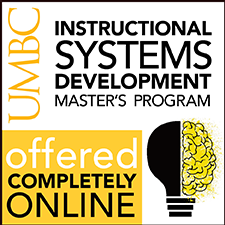 Offer just-in-time resources: No one can retain all the content in a course. Provide learners with job aids, online support systems, like wikis and micro-blogging technologies to get just-in-time support in the workplace. Get emotional. When you tap into the emotional dimension of your audience, you can get them hooked and engaged. Add realistic stories, refer to an individual’s cherished memories or say something controversial. Do what it takes to get the audience emotionally involved. Encourage mastery learning. Help learners gain confidence and competence as they learn. Make sure courses are at the right level for each learner. Provide opportunities for people to retake courses until they have mastered the content. Provide real world practice activities. Ensure remediation presents content in a new way. Make it visually compelling. It may be hard to make a course look like it was produced by 3D experts, but there are low-budget ways to make it aesthetically appealing. People are hard-wired for pictures, so use visuals to motivate your audience. See Realistic Graphics and Learning: What’s Most Effective? Simulate the workplace. Take your cues from the workplace. Uncover the issues or difficulties your audience is experiencing and base scenarios and practice activities on real-world experience. This makes learning meaningful. Respect the audience. Let your audience know why it’s important to take a particular course. Avoid a cynical or condescending tone and honor the learners. You may be the only advocate they have in this big world. 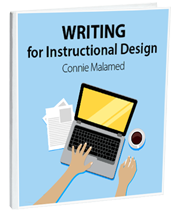 Get learners to create graphic organizers. Encourage learners to visually represent the content they are learning. This can keep them engaged and help them structure their new knowledge for easy retrieval in the future. Use good design principles. Make sure your online courses are legible by using a font that can be read by adults of all ages. Ensure graphical text can be easily read too. Keep the screen clear from clutter. 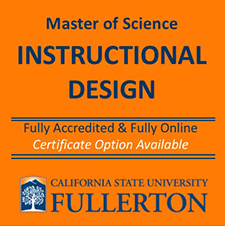 It’s demotivating to struggle through a course because of legibility or design issues. 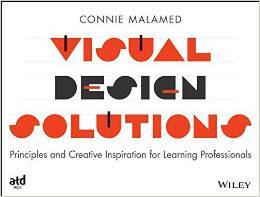 See more articles on visual design. Ask for feedback. Find a way to let your audience contribute to a course. Let them know they can provide feedback to help you improve it. This might help some learners buy in to the program. Listen to The Art and Science of Practice and Feedback or read the transcript. Create an experience, not just a course. What can you do to make a course unforgettable? Create an online and offline learning experience. Market your course to the audience to create buzz, get buy-in from key people, throw a related event, incorporate sophisticated activities to enhance learning, provide personal support for those having difficulty and provide follow-up. What strategies do you use to motivate adult learners? Comment below. Have participants create a creative end product, take part in a simulation problem solving scenario, or do a performance task to become engaged/immersed and demonstrate their understanding. This touches on several items from your (fantastic) list! Great ideas. Producing a creative end product would be awesome. Thanks for your contribution, Danny. We have written a book on motivating adult language learners for an European Union funded project. It includes 48 best practices described in details with additional online resources. Many of the concepts described in this excellent blog are elements of our best practices. Nice job summarizing ways to motivate the adult learner. Number 30 caught my eye, “Create an experience, not just a course”. That sounds logical, but could be a very daunting task. Is it possible that we can have the opposite effect by trying to do too much by raising expectations that when the course is finally offered, it could be a big let-down?